But we did come home with sad smiles and great memories...the holiday is over (wah!) but i found that there were a few things that got me through the holiday! Everyone has their own staple items to take, so i thought I'd share mine, and who knows, maybe help someone to take a similar item with them on their hols! 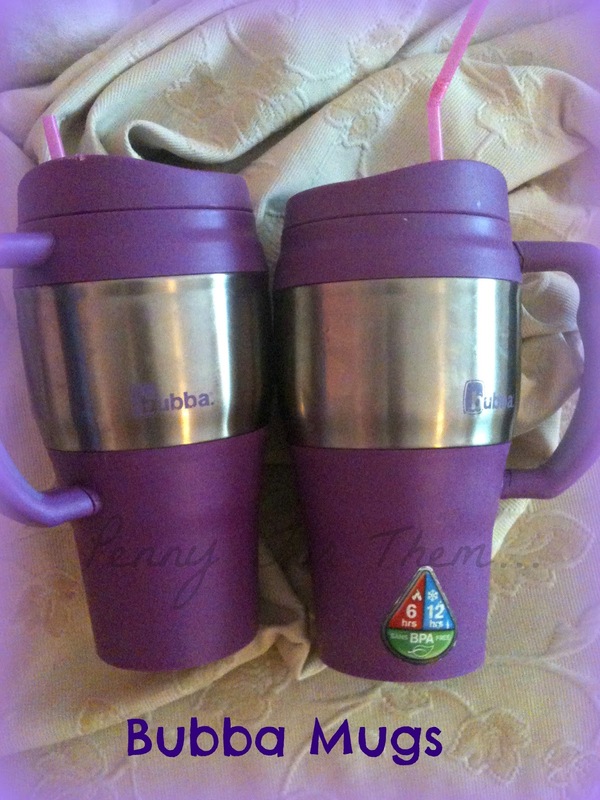 The main things that were life savers....BUBBA MUGS! Cuba is a very laid back country. Which means that getting a drink when you're on the beach or by the pool can be a bit of a task - the guys who go round asking if you want a drink has ALOT of ground to cover, and the bar always tended to be that *little* bit too far to walk! These held about 2 glasses worth of drinks and stayed cool for up to 12 hours. So - no more waiting, drinks already there! The price of these can vary enormously, so make sure to shop around! We managed to get them from Asda for just £4 which is a great price! So be sure to check there first! The fact we got purple ones (my favourite colour!) was an added bonus! SPF 10 and 20. 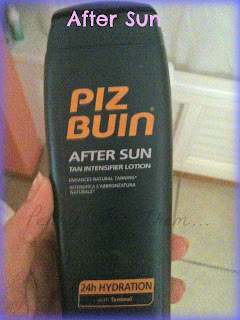 This is a FANTASTIC sun tan lotion. 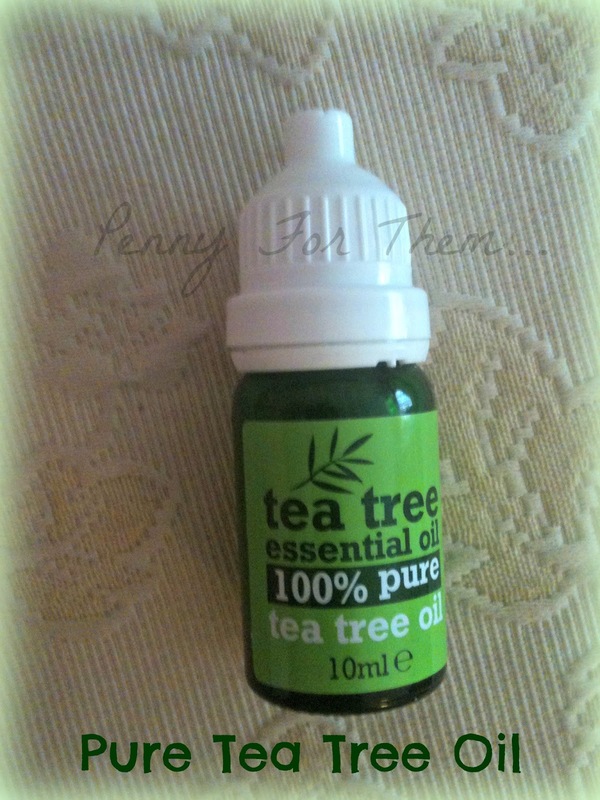 Its like an oil (but obviously NOT) and absorbs into the skin within seconds. Its a "last all day one" but i reapplied a little to sensitive areas when coming out the pool. I'm very very fair. Normally i burn like buggery and then peel and have a very slight tan! This year, i didn't burn or peel, and I'm the brownest i have ever been from a holiday - i LOVE this stuff -its pricey, but worth it! Another MUST HAVE when in any foreign country - but especially ones that are quite close to jungle and wildlife! - Mosquito Protection!! 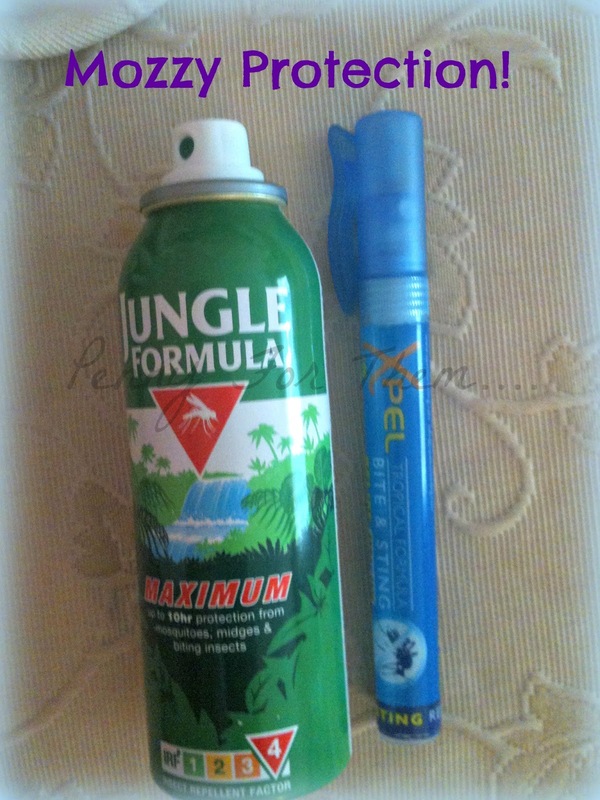 Jungle Formula has the highest DEET rating that we could find -and the higher the DEET the better the protection!! Cheapest place we found was in fact Ebay. We bought 4 cans of protection (in Egypt last year we only took 2 and got bitten to death)...and TA DAH! Not one bite!! (OK mum maybe got ONE little bite!) Whoop!! The blue pen next to it was a bite relief pen which went in our bag at night just in case. And that is....simple old Pure Tea Tree Oil! This stuff -amazing! i bought 2 10ml bottles, but as we only had one bite, only used a small amount from one bottle. Again, this stuff can vary in price - in mega proportions! I got mine from a chemist called "Savers" and it was only £1 a bottle which was cheaper than Ebay! It soothes the bite, makes it less itchy, and mums single bite had actually gone by the next day - This stuff is coming with us on every trip now!! Staying on protection, there were times when sensitive areas needed something slightly higher - the tops of my feet, my shoulders and (of course) my face. This is where Cliniques Super City Block came into action. It was only a 25 SPF but it did the job i needed it to. This needed to be reapplied every so often and always after being in the sea or pool, but helped my "sure-to-burn" spots from burning at all! yay!! After Sun is another complete MUST HAVE! We took a few with us - one was a Liz Earle that was like a gel and smelt really nice and absorbed really quickly. Another was Dr Hauschka which as a yellow and thick consistency but a good lotion. Our favourite though, and always has been is the Piz Buin After Sun Tan Intensifier. Weather its a placebo and doesn't actually intensify the tan, i don't know, but its a lovely cool, refreshing lotion, which again, absorbs extremely quickly! We went through 3 (nearly 4) bottles of after sun as the more you put on the better!! An item that we use occasionally here at home, and another MUST HAVE abroad, especially after handling money is a little bottle of Anti bacterial hand Gel that you can slip into your bag. This is great when out and no access to wash your hands anywhere. Strongly advised to be used after handling money of any kind, before you eat, and any time you just think your hands need a bit of a clean. The one we took was a Baylis & Harding one in the scent of "wild Cherry & fig" and was a gorgeous scent. Absorbed quick and left hands feeling ALOT cleaner! Tons of these around, and at great prices! The Charles Worthington Leave-in protection Spray helped to prevent our hair during the day when the sun was out and helped protect it from the UV rays and to stop it drying out. John Frieda's Frizz Ease is one i use at home anyway, but when away in a hot country - OMG, did our hair frizz like I've never seen!! This cult classic is a must have when away, helps to tame the frizz that is inevitable if you are prone to it anyway! The Toni and Guy Finishing Shine Serum (another i always use at home) - this is a great spray to use after you've straightened your hair (which we ended up having to do at least once a day). This leaves a fantastic shine, non greasy, and as a plus -smells lovely! 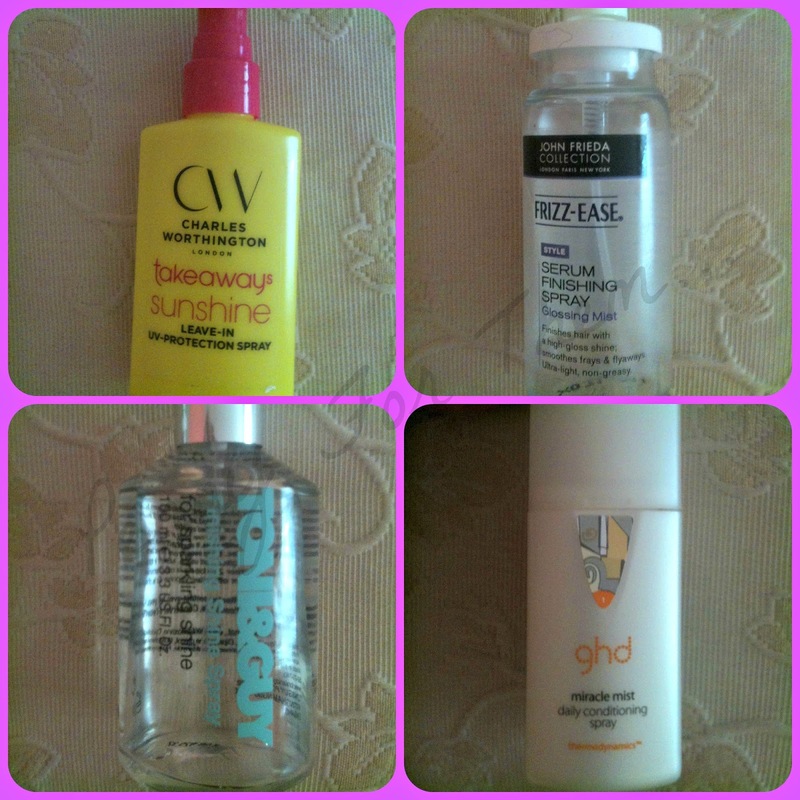 The last one was GHD Miracle Mist Conditioning Spray. Another great spray for after being in the sun all day. we used it before we straightened our hair, and it just adds a little extra boost to help calm the hair. This Lemon Body Spray had a dual purpose. 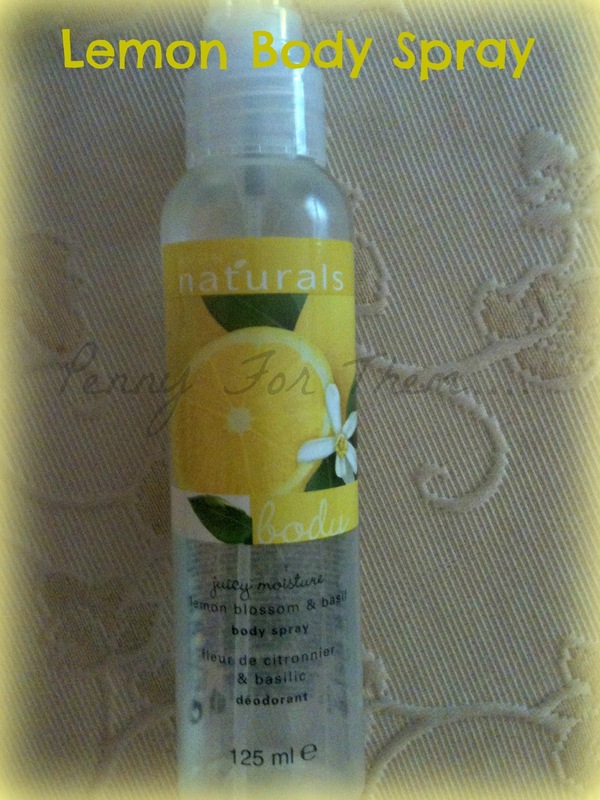 The first was a great cooling down spray being able to use on the face and the body, and a lovely fruity smell. 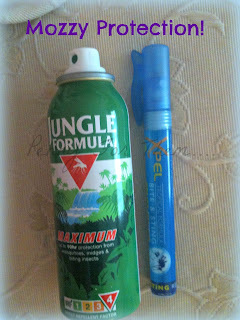 The second is that Mosquitoes don't like citrus scents so this (on top of all the other protection!) helped to keep them away while we lay by the pool or on the beach! Every day i used L'Occitane Creme Radieuse (Angelica Hydration Cream) - i actually first used this on my holiday last year when it was free with a magazine, and i fell in love with it! Its a gorgeous cream, that absorbs quickly and leaves the skin feeling much more hydrated. 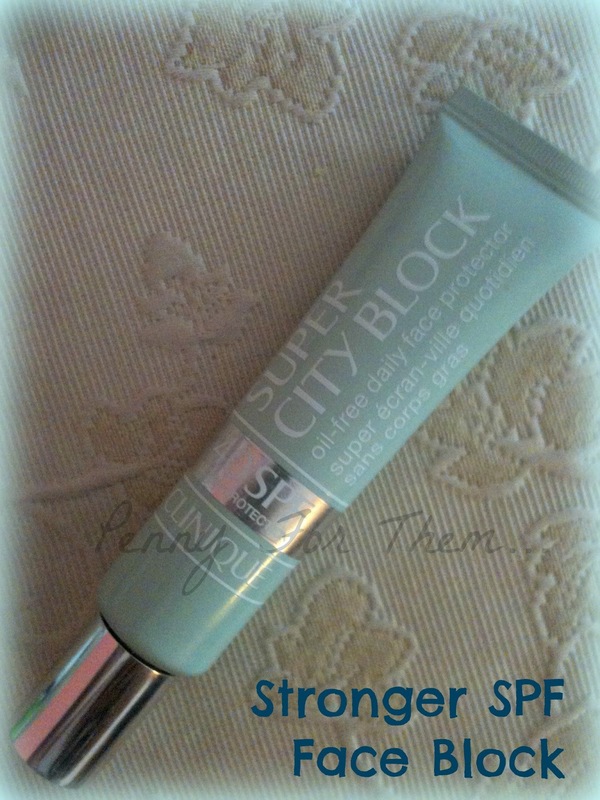 I always have an eye cream ( i have a big thing about black eyes - i suffer terribly from them!). So i had to chose ONE! So i took Good Things Bright Eyes Eye Cream which helped keep them at bay! Every couple of days, i used the Origins Drink Up Intensive overnight mask cream. This stuff, i LOVE. I have the big tube at home, but managed to get away with taking the smaller tube. You literally heap it onto your face and it is super quick at absorbing and you let it help hydrate your skin while you sleep! perfect! I think its common knowledge that when it comes to the "cleanse, tone, moisturise" routine, i try and take as many short cuts as possible! 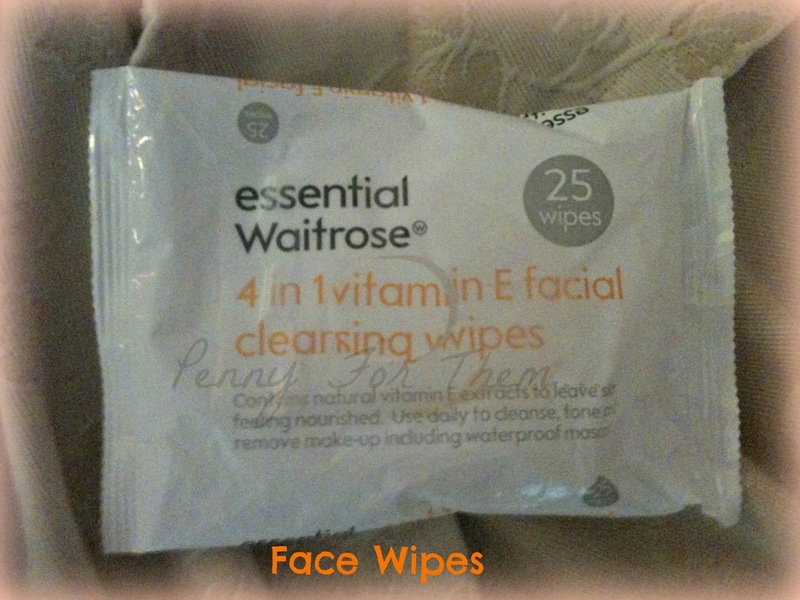 These Waitrose 4 in 1 vitamin E Cleansing wipes are FANTASTIC! On offer at the moment for 2 packs for approx £1.60. They remove even the most stubborn of mascara's with one wipe. Moist and refreshing, the perfect skipping step for the "cleansing" part! Having a tan and "healthy" glow that you just don't get with the UK weather means the advantage of not having to wear alot of make up to try and fake it! so the bulk was this little lot! MY MUA eye shadow palette, so i could choose what eye shadow to wear - turned out light blue and dark blue smokey was a good look for me on hols! My (battered and bruised and well loved!) box of Benefit Bella Bamba blusher to add a bit of pink to the cheeks! The round blue compact is Urban Decay Mattyfing Powder (I've forgot the name! 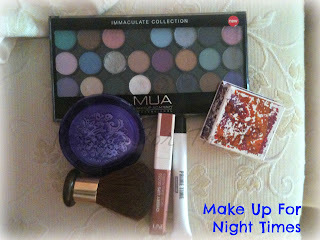 ), but a quick brush using the big blush brush over the top and my make up stayed the "hot feeling" free at night! A lip gloss in a cherry colour, and the last little one here is an eyelid primer that lightened the eyes -perfect! Of course i had to have my Erase Paste from Benefit to help my dark circles, but i have to say a holiday doesn't half take them away on its own!! Of course the main make up needed is MASCARA. A staple during the day, as well as the night. 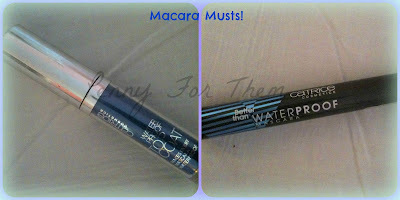 Ive tired umpteen mascaras that claim to be waterproof and honestly couldn't find one that did a great job. Imagine my surprise when the sale items of Catrice i bought in my local chemist, came up complete trumps! And its not just me - mum is completely converted to them!! 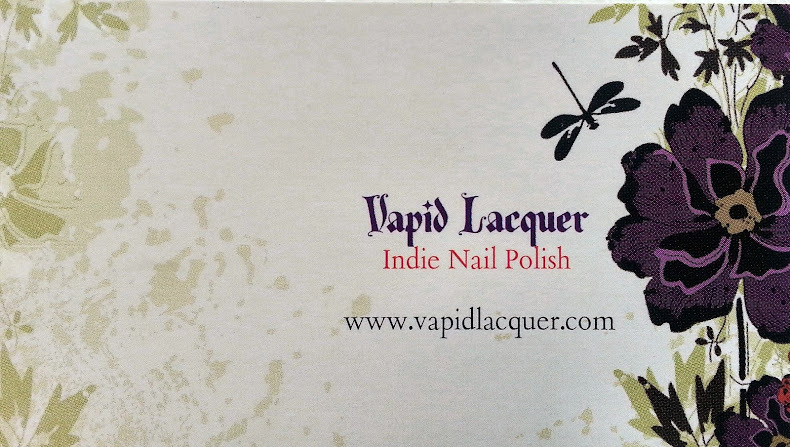 The one on the left is a Waterproof Top Coat. The one on the right is called "Better Than Waterproof" mascara. Both by Catrice. 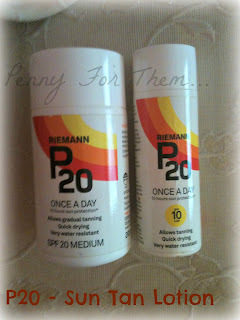 We used these together all the time (don't want black streaks down your face when getting out the pool!) but in all honesty, the mascara on its own did the job fantastically! It was a scrub to get off, but the wipes above DID get it all off. The topcoat was approx £4 and the mascara was about £2.50. I got them both and as mum loved them so much i left her with them and came back with the plan to restock! BUT although the Topcoat is still there, the mascaras seem to have changed slightly so i picked 2 that looked like they would be the same and hopefully they'll be as good - bargain, right! Lip gloss was always a must and the main one was a Rimmel gloss that was pink with a slight shimmer. 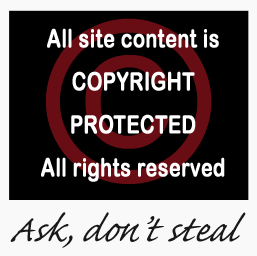 This has stopped being made, but before it was too late i scoured the net trying to find somewhere -ANYWHERE! !- that i could grab a couple to last me. Luckily i found a little beauty online shop in the UK that had 2 tubes...needless to say, they're now mine! 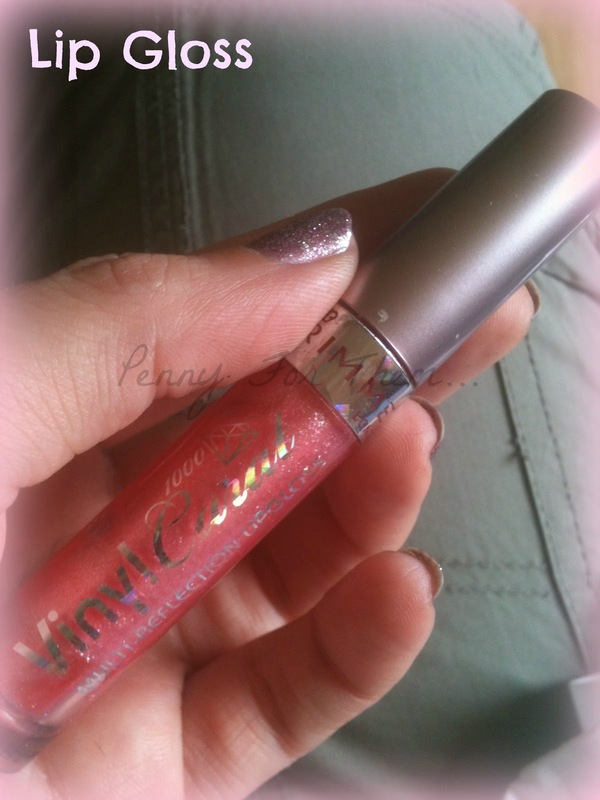 This is such a yummy gloss. It has an actual brush to put it on your lips (not one of those little spongy ends!) and it tastes nice too! Its nice and glossy without being too sticky and the shimmer on it isn't over the top so you don't look like a wannabe teenager!! 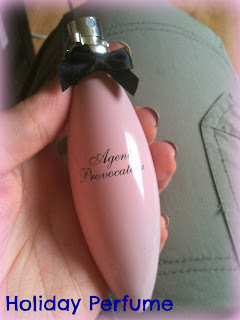 We took with us oodles of perfume samples and small bottles of perfumes, but the one we seemed to gravitate towards every night was Agent Provocateur. It has a delicious scent, its quite strong so only a couple of sprays were needed and it was small enough to fit in our bag if we needed a quick freshener later on! 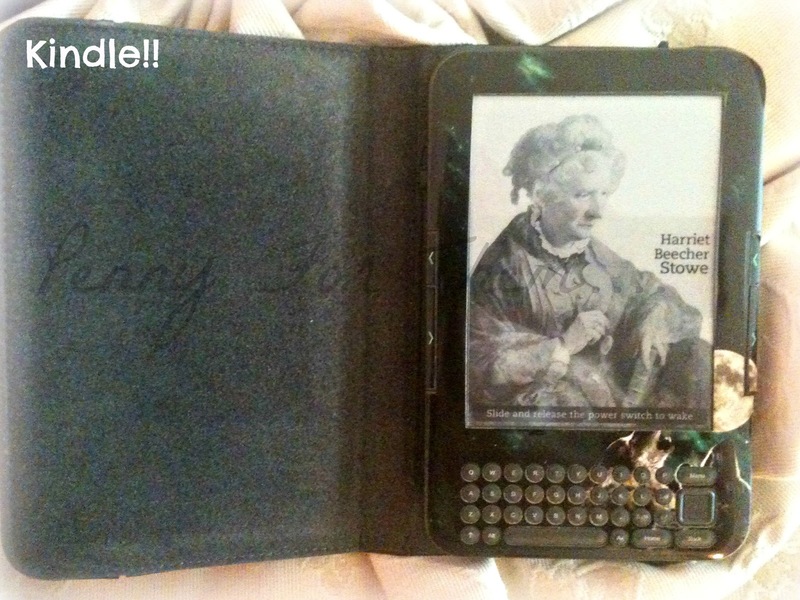 And of course, last but not least -i HAD to have my Kindle. Yes its the old type with a keyboard that I've had since it came out, but i LOVE my kindle!! 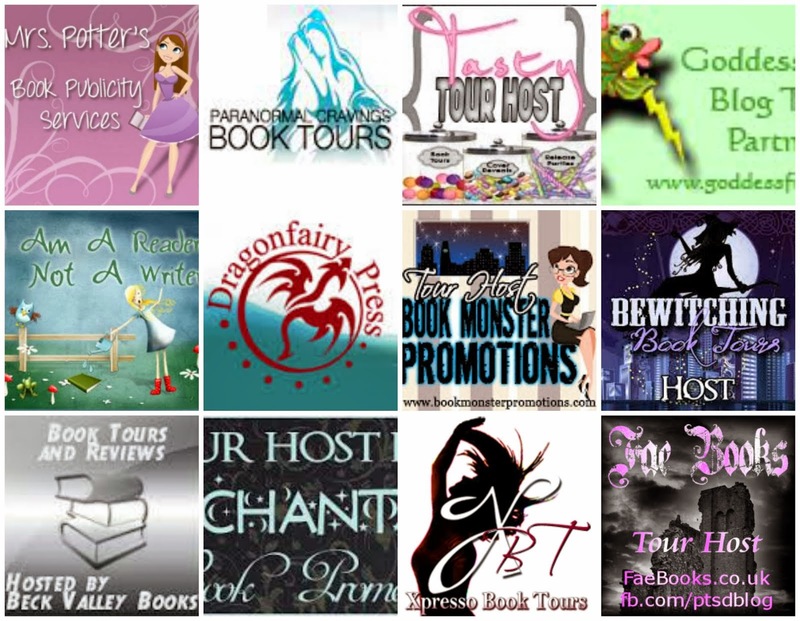 So much easier than taking 4 or 5 books in the suitcase, and then thinking " i wish id brought this one".... i got through 6 books on hols (great for catching up on my Book Tour Reviews!) and as always would never be without it! So, there it is! OK, there were other little bits like shower gels/scrubs, nail polish (the main one we used was Opi's Nail Envy and actually very rarely put any polish on as your nails grow and look so white when you're tanned!! ), little bit of music and stuff, but the above things are was like a mantra to us before we did anything that would require them! I know this probably isn't a good list for a touristy holiday or a city kind of break, but somewhere hot and far from the crowds - trust me you'll thank the Bubba Mugs!!! Loved this post and all the details! So glad you said that -its taken me a flippin week to get it all up!! LOL! i was worried it might be TOO long -its one of my longest and worry people will get bored but at least theres piccies!!! LOL!! Hubby got bitten to death by Mossies' a few years ago. We asked the local shop for something to stop them as Jungle formula wasn't helping. They said spray repellent on clothing rather than body, use a plug in repellent in your room (that REALLY does work!!) and in places that use tablecloths lift them up and tuck under your placemat or plate to allow the litle blighters to fly freely rather that fly under and get trapped and then bite you. Totally agree with the hand sanitizer, I also pop in some wet wipes too. Yeah we were told to spray clothes too so we did! I think we over sprayed but better over sprayed than under sprayed!! Yup, we had 2 plug ins - again, a deffo staple and should have written that! Good tip about the tablecloths though, thank you!! Mum was totally aware of being bitten as she was mauled by mozzies in Egypt last year, so we were well prepared this year and escaped with just one between up...happy days!